Two things are for sure – Nikita from Madame Cupcake & Gifts loves baking & pretty things! 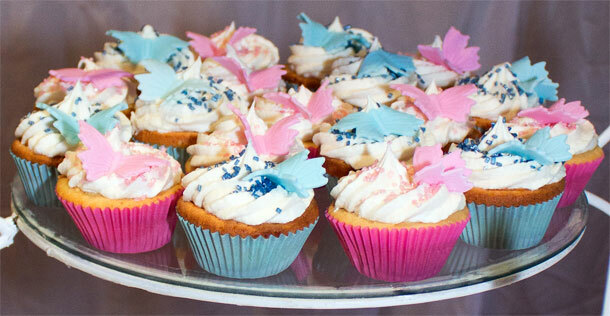 She would love to bake cupcakes and occasion cakes for your big day. Her options are endless from traditional, vintage, simplistic to stylish with a little modern and fun thrown in. Nikita has an Event Management background (& also planned my her wedding from oversees) therefore know how important your Wedding is to you and will try to reduce that stress by taking care of a little portion of it for you! Using cupcakes for your wedding cake is very popular! Not only is it chic and trendy but it also provides an individual portion to be served to your guests as dessert or alternatively for them to take home as a thank you gift – thus making them cost effective. The Top Tier is just as important as this symbolises the tradition of cutting the cake and I ensure this matches. 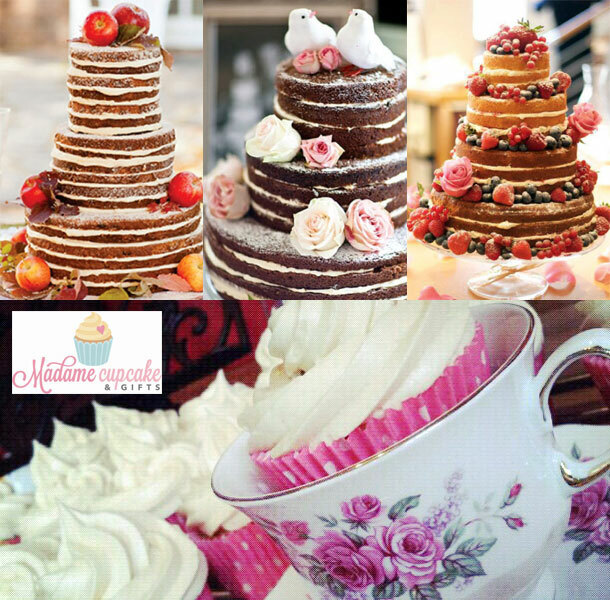 At Madame Cupcake and Gifts they’ll design and create the exact Cupcake flavour you require in-keeping with our simplistic and stylish design. For your Wedding Cake or Cupcakes we need to sit down and talk! To discuss your specific requirements ensuring everything is in place from day 1. Nikita loves a good party cake! Eyes open wide with anticipation and candles to blow out … This is why she make cakes but you won’t find a novelty or children’s cartoon character cake coming from her kitchen; it is not her style and she doesn’t specialise in them. Nikita can take an element (such as colouring or a detail; a bow, symbol etc) but she wants you to know upfront as to avoid disappointment. Whether you would like a Fondant covered cake, a Buttercream finished cake or a “naked cake” (usually layered with buttercream but not iced on the outside therefore looking “naked”) Madame Cupcake will be more than happy to assist! Individual Mini Cake and Cupcakes can be presented in clear plastic boxes with ribbon and a name tag as a name place and favour, so too can a few Cookies in a box or little cellophane bag! These are personal and also rather cost effective. Ask me for some examples and ideas for your Special Day. To book a cake from Nikita telephone her on +27 (0)82 319-4300. Alternatively for further details or to make an enquiry visit Madame Cupcake & Gifts.